In this month’s post, we’ll be taking you through some of our highlights in 2016, a tumultuous year for many but also a transformative and exciting year for the ad tech industry. 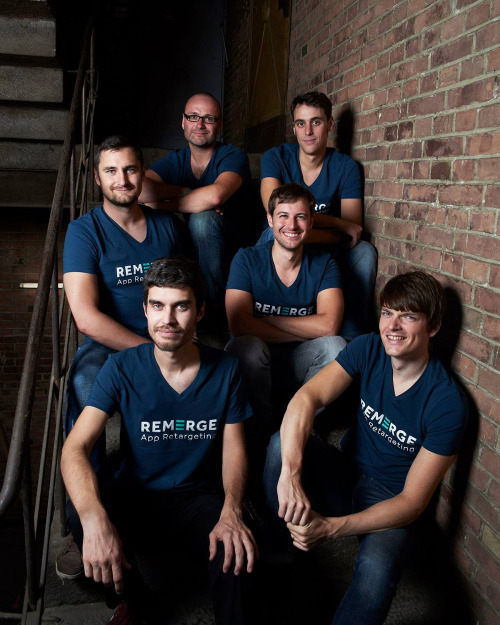 For us here at Remerge, 2016 was marked by some major product innovations, promising partnerships, and rapid expansion that is sure to keep us very busy in 2017. It’s always nice to be recognised for your hard work, and this year we were lucky enough to be included in a number of shortlists for companies to watch in 2016. In February, we were selected as one of Online Marketing Rockstars’ ‘Three Companies to Watch’ for our product innovation and success in the fiercely competitive ad tech space. Co-Founder Dr. Christian Liesegang took to the stage to talk an audience of more than 4,500 people through the basics of app retargeting and how we are streamlining the often complex process for our customers. We were also mentioned in Horizont’s list of ‘10 Adtech Startups you Should know’ which also included our friends at adjust, Glispa, Applift, and adsquare. We were again selected for our innovative tech, but also for our global mindset which has been our attitude from the very start. It’s this mindset that has propelled our success and opened up opportunities to us all around the world. That’s why this year we were thrilled to announce the opening of three new offices in Singapore, Tokyo, and New York. We are delighted to be growing so fast and are excited about the prospect of being able to meet our clients around the globe more regularly, which is massively important to us as a fully managed platform. We are also happy to be welcoming on board some new Remergers in all departments from tech to sales to help us to grow even more in 2017. Seeing the success of our customers re-engagement strategies is always a pleasure and this year was no different. We have worked with the best of the best in every industry from fashion to food delivery and have loved every minute working alongside companies in building and executing their retargeting campaigns. Listening to our customers is really important for us, and that’s why we introduced view-through attribution to facilitate a more complete performance evaluation of our clients’ campaigns. VTA allows advertisers to better measure the value of Remerge ads and get a more complete picture of attribution from advertising campaigns. These insights will allow our clients to make quicker and more confident changes to their ad spend and maximize their ROI in the year ahead. After the hugely successful launch of our Native Ad formats, this year we launched Dynamic Programmatic Ads to allow advertisers to use their in-app data like user behaviour, device type, and location to generate tailored and highly relevant display ads. Our clients have seen some fantastic results already with some massive uplift in conversion and engagement rates. We are excited to continue to expand our clients’ advertising options in 2017 with our new Facebook Dynamic Ads and also some new formats we can’t wait to reveal. 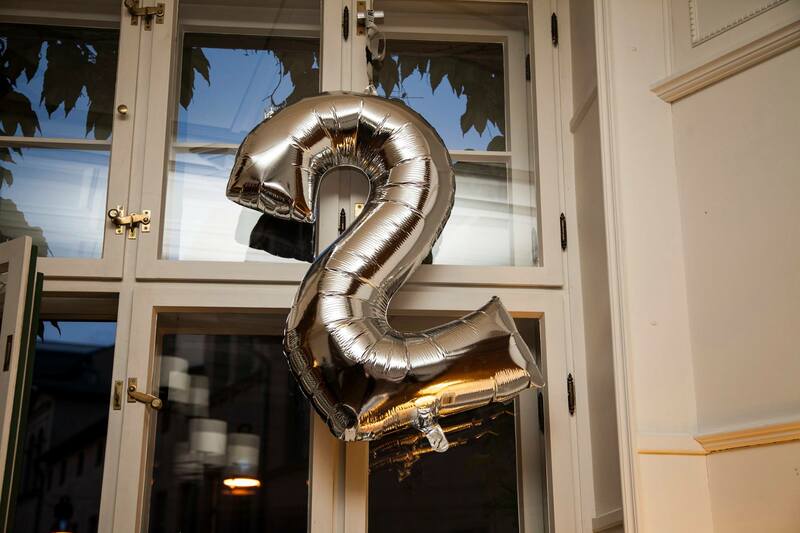 In May, we celebrated our two year anniversary since our launch in style and in capes with a sold-out superhero themed party at our Berlin HQ. The party went on until the wee hours with such an amazing atmosphere and fantastic bunch of people in attendance. In August, we celebrated the one year anniversary of the San Francisco office opening which was a major achievement for us. Opening an office in the largest tech hub in the world would be nerve racking for any company, never mind a company only one year into operations. But our fantastic team of San Fran Remergers worked day and night to ensure Remerge was the name on every advertisers lips. In September, we welcomed some of our favorite customers to the spectacular AT&T park stadium for a classic night of baseball to thank them for contributing to our success over the past year. We have a lot more events planned this year in the US and around the world, and look forward to welcoming new and old friends to our next anniversary bash. This year we were recognised by one of the industry’s largest ad exchange networks as providing the highest scale and best performance of all our peers, transacting the most queries per second which is twice as much as the industry average. Always improving our tech, we reached a new milestone and are now successfully targeting up to 900,000 users per second. Our Remerge Performance Engine processes over 50 billion user events each month, continuously learning and sharpening its prediction, bidding, and product recommendation to drive performance and maximize ROI. With new techies on board in our Berlin HQ we can’t wait to see where this year will take us, and look forward to celebrating the 1 million users per second milestone. With all the growth we’ve had in the last year, it was so important for us to not to lose sight of who we are as a team. In October, both the San Francisco and Berlin teams travelled to Barcelona for a team offsite like no other. Many late nights, 2017 strategy meetings, and even a Regatta race made this an unforgettable trip and the perfect opportunity for a catch up between all team members. As our team grows, we look forward to these trips together to get to know one another properly outside of Slack and Skype, and to celebrate all of our successes. 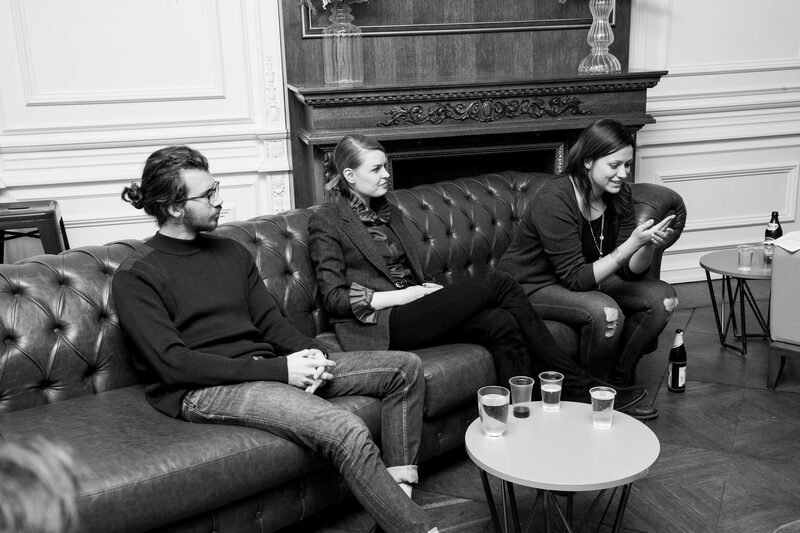 Having really perfected our tech this year, we felt we knew a thing or two about the mobile marketing space and hosted some interesting tech and marketing meetups in our stunning HQ alongside our friends at some of the most innovative app companies in Berlin. We welcomed speakers from Soundcloud, Clue, Blinkist, and Here to name a few, all talking us through their top tips for driving mobile growth and retention. The CTO meetups were a great success with some fascinating discussions from the brains behind some of the most successful apps of 2016. We have many more meetups planned with even more diverse topics and speakers to keep our audience of marketers and techies inquisitive, so stay tuned! Thanks to the ad tech market’s rapid expansion, and our enterprising events manager, we were kept busier than ever this year with more conferences, dinners, and drinks than we could handle. It’s truly a wonder we had any time at the office! 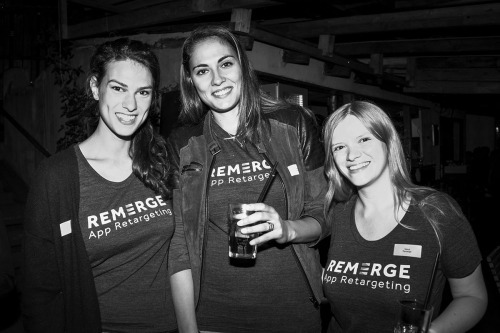 Though we attended hundreds of events, a few stand out as major highlights and dmexco was certainly one of the best for everyone at Remerge. 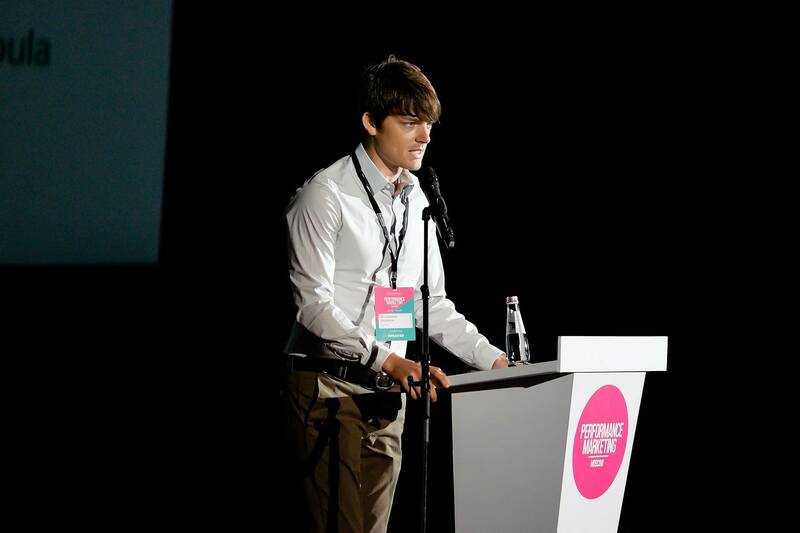 Dmexco holds a special place in all of our hearts as it’s actually where we launched the Remerge brand two years ago. Being back was nostalgic, but also gratifying to see how far we’ve come since then. The OMR afterparty was one of the funniest nights we’ve spent together as a team, dancing to the cringiest but most amazing 90s hits played by pop sensation Oli P.
We travelled far and wide from Shanghai to Moscow spreading the gospel of app retargeting at some of the largest expos in the world. It was a pleasure to welcome our clients to join us onstage to discuss their experience with Remerge and to help others who are struggling to tackle the mobile retention issue. We are set to travel even more next year, and plan to welcome more of our wonderful clients to join us onstage to discuss their experience with retargeting. Fraud still remains the biggest issue in ad tech right now so we were more than happy to support mobile attribution provider adjust alongside 11 other partners to tackle the growing problem. As part of the coalition, we aim to dedicate resources and technology, and to share information to detect and and prevent ad fraud. In 2016, mobile ad fraud cost advertisers more than $100 million and that is set to increase this year until meaningful strides are made to prevent it. Along with adjust and the 11 other partners, this year we aim to tackle the issue head on and to share information to ensure the utmost transparency for advertisers. 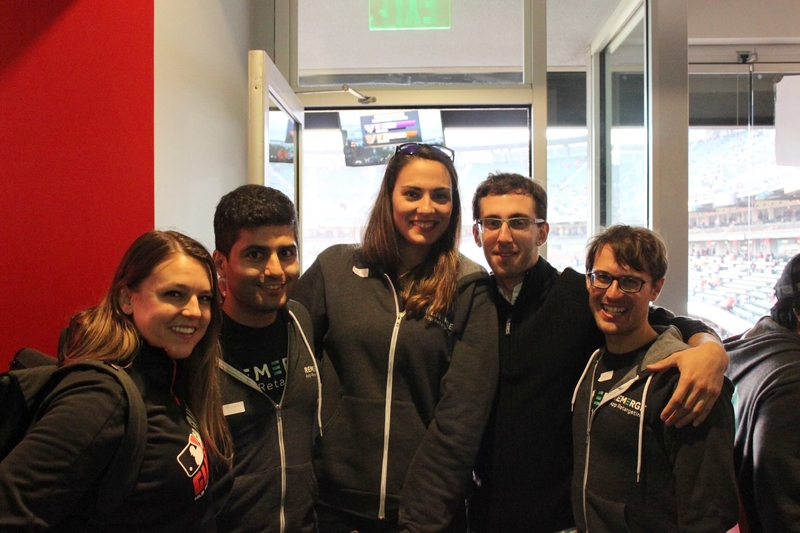 Diversity has always been a key pillar for us here at Remerge. We are a team of more than 18 nationalities from all over the world representing Korea, Poland, Japan, France, Ireland, and Greece to name a few. We are passionate about providing a safe and friendly place to work for people of all nationalities and backgrounds and strive for equality in the often male dominated tech industry. This year five female Remergers were promoted to senior positions for their hardwork and dedication to the Remerge product. We could not have built our company without their help and are excited to see them hone their skills and inspire other women to pursue careers in tech. 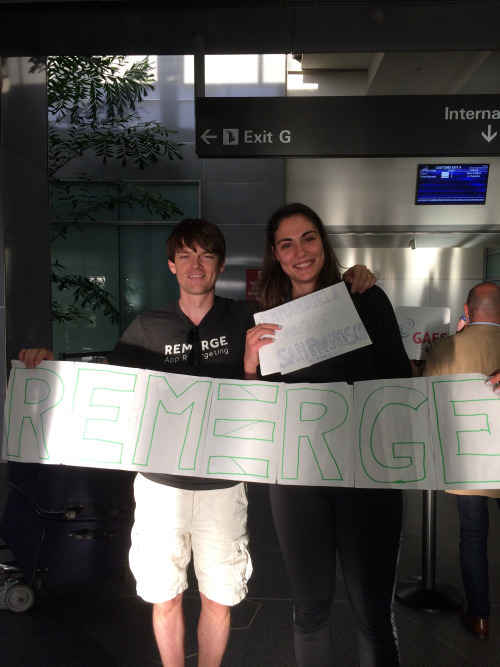 If you’d like to join the team at Remerge and make 2017 another successful year, check out our careers page here! We’d like to thank all of our clients, partners, and friends for making this year such a memorable one for us. We wish you all the best this year, and hope to keep you up to date with all the latest news happening within Remerge and the ever-changing ad tech industry. Stay tuned next week for our next post covering the key learnings from 2016’s most successful apps!